Bollywood and Tollywood (Bengali film industry) superstar Mithun Chakraborty has been ruling since four decades. 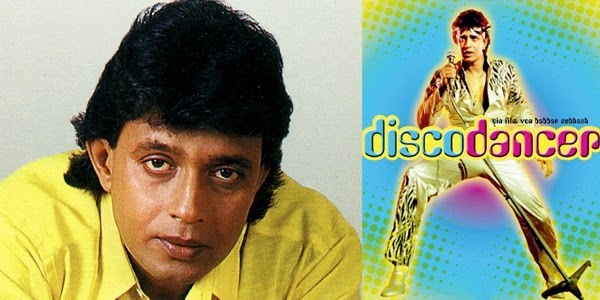 During these years Mithun Chakraborty, loving addressed as Mithun Da, has given innumerable hits SURAKSHAA, PYAAR JHUKTA NAHIN, DISCO DANCER, AGNEEPATH, GURU ETC. He has won three National Awards and Two Filmfare Awards proving his genius as an actor. The legendary actor turns 62 today Raaga.Com wishes him birthday wishes and enlighten the readers how Mithun Da’s rags to riches tale. Born as Gouranga Chakraborty in Bengal, readers would be stunned to know that Mithun Chakraborty before joining cinema was a Naxalites and was trained in martial arts with black belt. He was in the group of Bengal Naxalites and fought for their cause and was even in the ‘Wanted List’ of the Bengal police. However he abandoned Naxalism, when his brother died in an accident and Mithun had to support his family. Interestingly when eminent journalist and famed filmmaker Khwaja Ahmad Abbas made NAXALITES, a movie depicting the issues of Naxalites in the early 80’s he took Mithun Chakraborty in the main lead and Mithun helped Abbas sahab to make the movie more authentically. Unfortunately the movie failed at the box office. Born on July 16, 1952 in Dimla, Bengal, Mithun is a Bengali Hindu Kshatriya Brahmin. He has done his education from the prestigious ‘The Oriental Seminary School’ which is regarded as the earliest private school exclusive for the children of the rich and famous parents in Kolkata. Later he pursued B.Sc but could not complete due to his involvement in Naxalism. After returning to his family from the clutches of Naxalism, his family advised him to join FTII (Film and Television Institute of India) where he did graduation in acting. Eminent filmmaker Mrinal Sen gave him break in his art movie MRIGAYA, which fetched him Best Actor National Award. The award gave him hope of a smooth ride in Bollywood but alas the path to stardom was an arduous task and he had spent many sleepless nights without food. Note: In the next part read about Mithun Da’s struggle in Mumbai.